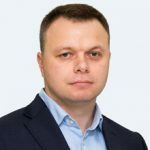 Send an email to Oleksandr Nikolaienko Please fill in this quick form to contact our expert directly. 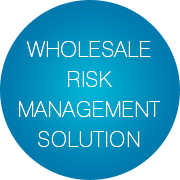 Build a modern solution for the wholesale business of the risk management department of a bank to replace existing legacy solutions. Utilize modern technologies and approaches. Develop the solution within the bank development environments and deploy it to the private cloud. Set up proper development processes. Design, development, integration, customization, and support of a portfolio of integrated decision-making solutions for the risk management department of a number of bank branches. Java, Spring, Tibco EMS, DB2, Angular 5, OpenShift, GitLab, Jenkins, Maven, DevOps, etc. Since 2017, Infopulse has become a strategic supplier of key banking solutions for the risk management department of one of the world’s Top 20 banks. Infopulse works on an extensive portfolio of solutions aiming to update and automate car-financing processes for the German branch of the banking group. 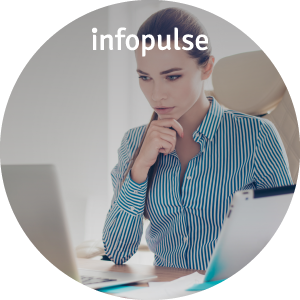 In 2012, Infopulse’s client started looking into the development of a modern, complex and functional solution to automate car lending and risk management processes. The solution had to facilitate work with dealers, partners, insurance companies, SMEs and corporate clients, who need to obtain the credit for bulk purchases of fleet vehicles. With legacy solutions in place being almost 25 years old, their support did not justify the costs – maintenance required specific expertise, which was almost extinct from the market. Besides, the outdated systems and approaches slowed down the work of the risk management department. Each decision required a massive amount of manual efforts and deferred communication with multiple participants of the conciliation process. All this caused enormous delays and unnecessary complications in the approval of new credit limits or any other related common banking procedures. The main aim was to create a modern solution, which would be relevant for the next 20-30 years without any issues with further scalability, integration, maintenance, and support. Existing ready-made solutions did not suit the business growth model of our customer due to poor customization capabilities and the high price of support. The solution in question had to be developed fully from scratch. The project required a top level of technological expertise in the architecture of banking systems. As a core requirement, the uncommon core banking functions had to be detached and moved to the external systems. Infopulse also needed to create a convenient functional interface for decision-making platform and underwriter solution, and integrate all applications with banking and external systems. The waterfall model of product development, so far used by the bank internally, slowed down the product time-to-market. Consequently, new products, functions, and features could become irrelevant even before the project finish. In this project, Infopulse team needed to collaborate closely with multiple departments of the bank as well as with the external suppliers of banking solutions, which required a properly aligned communication management process from Infopulse team. Infopulse experts had to work within the development environments of the customer’s headquarters, which made the whole process more complicated, e.g., when they needed to gain access to customer’s data and enterprise resources. Conducted a comprehensive update of legacy core banking systems with modern technologies. Since all decision-making functions had to be migrated from the legacy core banking to new external systems, part of the core banking functions was rewritten and extensively modified. Described the algorithms for automated decision-making, working closely with the Bank’s Director of Risk Management. Integrated the new functional system with the legacy core banking system, external state registries, other banking systems, and a custom CRM for partner management developed as a temporary solution for the transition. Another, more efficient CRM solution is already in the works. Migrated the data from multiple legacy systems. Created an own domain-specific scripting meta-language for the automotive wholesale risk management. The scripted expression engine is very flexible and allows risk experts to create and set a multitude of parameters by utilizing specific programmed instructions with relevant ease. Thus, bank risk experts are able to filter the results for carrying out decisions on a case-by-case basis. Designed the modern, user-friendly UX/UI. Created an importer interface, which allows automating the import of request forms and transactions to credits and requests management system by translating various data formats into a single common system format. Integrated debt pre-collection features with reminders about credit periods and a frontend for dealers and bank partners. Implemented multitenancy so that the solution could be deployed to other banks of the group in any country. Implemented Agile/Scrum approaches as well as set up DevOps processes to speed up delivery. The time required for decision-making processes was reduced from a week to an hour. The probability of human error was lowered by approximately six times. Accelerated customer servicing, increasing the number of processed loan applications, improving customer loyalty and boosting revenue growth. Vastly reduced costs for licensing, integration and servicing – approximately, 10 times lower TCO in comparison to existing software products available on the market. Ensured ease of support with improved scalability, minimum risks and low expenses on maintenance. The bank can whitelabel and resell this solution to its clients and partners. As of 2019, the project was deployed successfully, and will be finalized by the end of the year. Infopulse will continue providing support, and will then migrate and integrate this solution for the new branch of the bank. The system architecture will be altered and customized in accordance with the local processes and environments. Upon implementing these changes, Infopulse will also update the solution for the main branch of the bank. Java, Spring, Spring Boot, Tibco EMS, DB2, Angular 5, OpenShift, GitLab, Jenkins, Maven, DevOps, proprietary QA framework, etc.